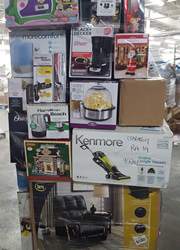 General Merchandise, Housewares, Tools, Hardware Electronics, Toys, Furniture, Mattresses, Home Decor, Domestics, Apparel, and More. 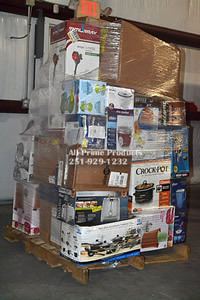 All Prime Products has been a leader in the liquidation industry for over 17 years. We have evolved along with the industry to offer you some of the best off price product available on the market. Our mission is to provide competitive and profitable inventory for retailers and wholesalers in 2018 and beyond. the Liquidation Industry in 2019. Most major US retailers are hurting due to excessive competition. Online Stores, Discount Stores, Second Time Around Stores, Specialty Stores, and others have reduced market share. Price cutting wars result which trims away already low margins. Retailers have been forced to tighten their belts and do not let millions of dollars worth of unsold and customer returned inventory slip through the system anymore. They extract items of value for retail sales online before selling it off as liquidation truckloads. Unfortunately this is had a profound effect on many liquidation loads which are now only sorted through leftovers. The availability of Good Liquidation Truckloads has been greatly reduced. This has allowed retailers to sell off their good liquidation inventories using competitive bidding which can wind up with loads selling for much more money than they used to. Shortages create inflation. This is especially a problem with large auction websites with thousands of registered bidders. Do you want to purchase Liquidation truckloads that have had the majority of valuable items removed for sales online or compete with thousands of people in bid wars for a limited supply or inventory? Pick your poison. We focus on niche markets where inventory has not been heavily processed. The majority of liquidation loads are heavily process these days. There are still a few out there that are not and those are the products we look for. 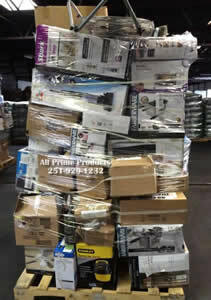 Here are some of the best loads we handle. 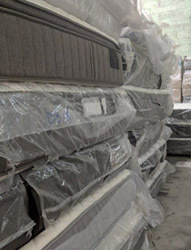 Furniture and Mattresses are among the best liquidation categories available. These items are large and difficult for retailers to sell online. Some of the Best on the Market. 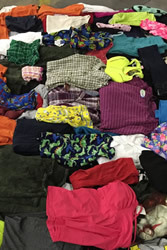 We offer a great selection of popular Department Store Surplus and Closeouts including Overstock Clothing and Clothing Shelf Pulls, Closeouts on dress and casual Footwear, jewelry Closeouts, Domestics with bedding, towels, and accessories to stock your retail or eBay store. Off Price Liquidations, Overstock, and Customer Returns are the way to go. Purchase for pennies on the Wholesale dollar. Sell Liquidations to your customers at big discounts while maintaining big profit margins. A great way to compete in today's retail environment. We also handle Liquidations of Sporting Goods, Housewares, Tools, Electronics, Mixed General Merchandise, Furniture, Department Store Returns, and other product Liquidations. Mixed General Merchandise Overstock and Customer Returns can be extremely profitable to discount retail stores and Flea Markets. Most of these items can be DIRECT SHIPPED from their source. That way you get the full load in tact with no middlemen involved. We have contracts with many major retailers and catalog sales companies to distribute their product Closeouts, Surplus, Shelf Pulls, and Customer Returns inventory and can offer a wide variety of products. Large national retail chains and large national online retailers have made it hard to compete with straight Wholesale Lots at Wholesale Prices. 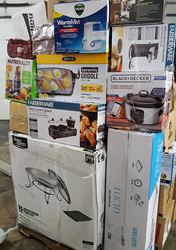 Check Out Our Off Price Surplus Lots With Overstock and Shelf Pulls, or One of Our Popular department store Truckloads of Overstock and Department Store Returns, or one of our other product Liquidations we offer at a fraction of Wholesale cost. Off price Closeouts and Liquidations can give you the competitive edge you need to profit in today's retail market. Why pay the high costs of Wholesale and compete with large national retailers? Surplus Inventory, Shelf Pulls, Product Liquidations and Inventory Closeouts are one of the best sources of Wholesale Lots available to the independent retailer and small business person. We provide a vital and affordable role In the Surplus, Liquidations, Customer Returns, and Closeouts product supply chain. 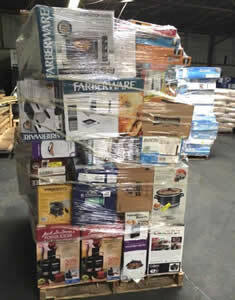 Let us serve your off price Closeouts and Liquidations product needs.